We’ve talked about the negative side effects of antibiotics and how to build your immune system, but now what do you do when you’ve done everything right, but illness still hits? For pretty much any illness that strikes the first thing to do is rest. Yes I said it, slow down, let the house cleaning go, let the kids watch TV and eat snacks all day, do whatever you have to let your body get the rest it so desperately needs. Without some down time your body will take much longer in ridding itself of the invading bug. Start upping your immune boosting supplements, especially things like Vitamins C and D, echinacea, garlic, onions, etc. This one’s pretty simple. Sugar feeds bacteria and lowers your immune response so just say no to sweets while you’re sick. And yes, this even means cutting back on things like fruit or sugar filled yogurt from the store. Homemade bone broths contain many minerals and other nutrients that are easily absorbed by the body. There is a reason that chicken noodle soup is long standing cure for sickness. 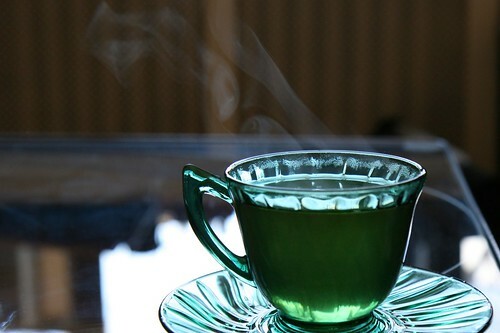 Tea contains anti-oxidants and other immune boosting properties, plus just being soothing to a fever ridden body. If you choose to go the homeopathic route you can find many different combination cold and flu remedies at most heath food stores or contact your homeopath for a remedy that fits your specific symptoms. Like I’ve said before, chiropractic adjustments can stimulate the nervous system and help the body to better heal on it’s own. I know there are no ‘sick days’ in the parenting world, but we really to remember to take care of ourselves so that we can continue to take care of our families. What are your go-to remedies for when sickness hits? I have to say it is so refreshing to see someone take the words right out of my mouth! What you posted is exactly what we do as well in our house. For us personally I find Vitamin D and bone broths do the trick to ward anything off, especially in the winter (we’re in Canada so no natural Vit D in the winter here). If something does get hold then rest and energy medicine (ie Reiki, homeopathics etc) seem to kick it out pretty quick. Thanks! I’ve been working on these all day. Many teas. Broth heating now. Adjustment at 5:30. Thanks!